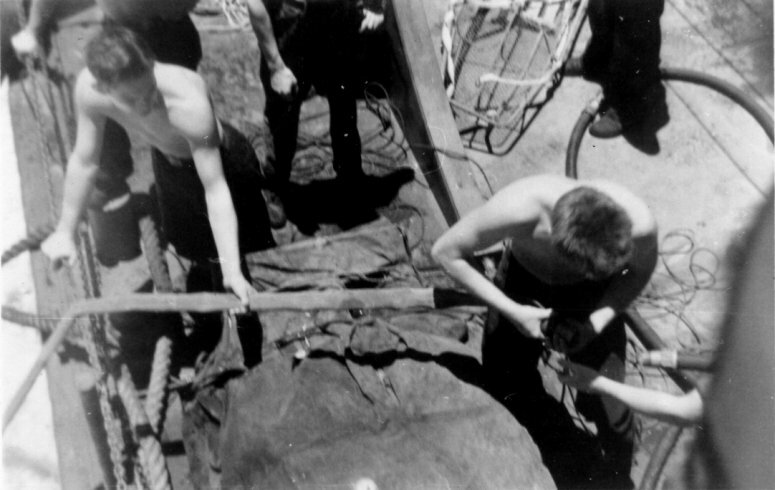 Laid down, 9 May 1944, at Consolidated Steel Corp, Shipbuilding Div., Orange, TX. 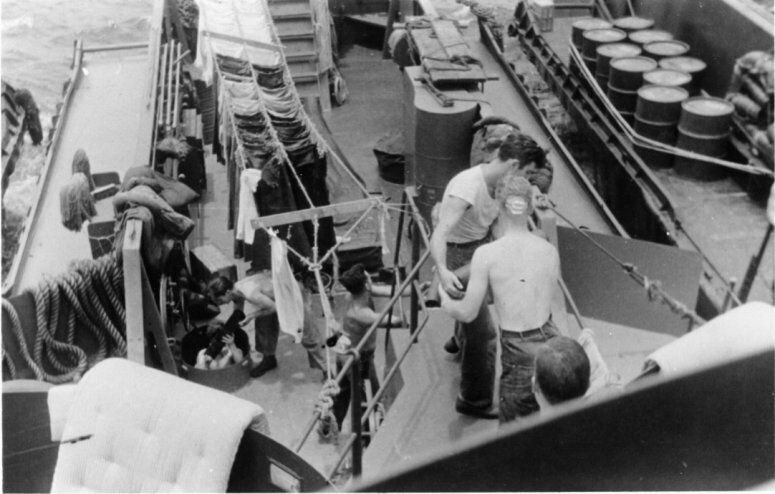 130k USS LCI(M)-1012 underway, forward view from conning tower, note the laundry hanging out to dry, date and location unknown. 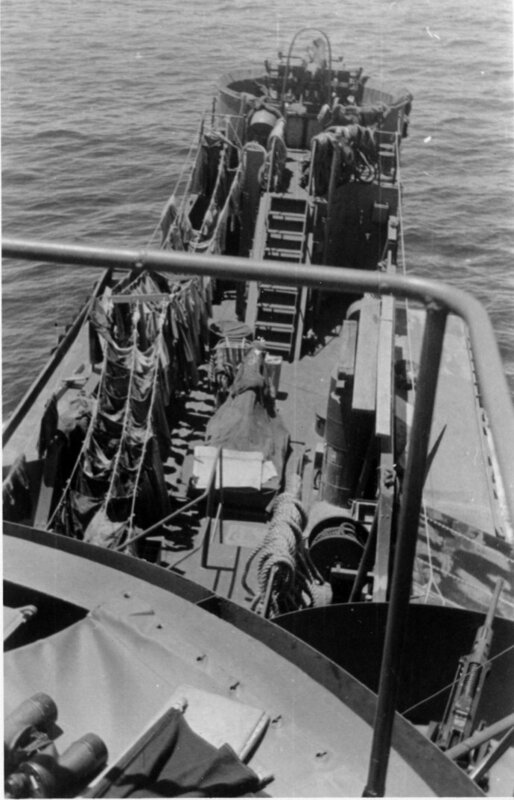 68k USS LCI(M)-1012 underway, aft view from conning tower, date and location unknown. 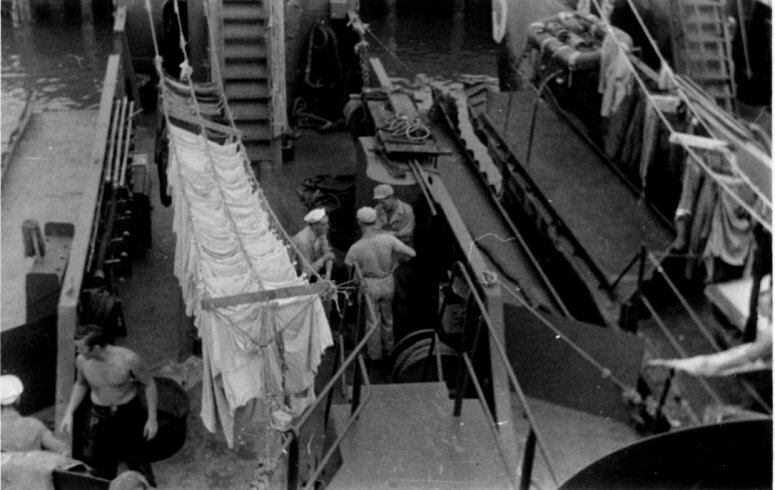 70k USS LCI(M)-1012 in port, well deck view from the conning tower, note the laundry hanging out to dry, date and location unknown. 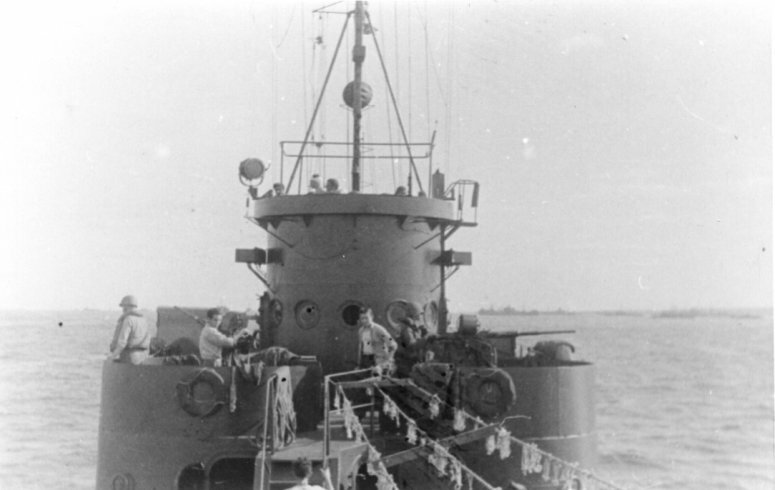 44k USS LCI(M)-1012 at general quarters, date and location unknown. 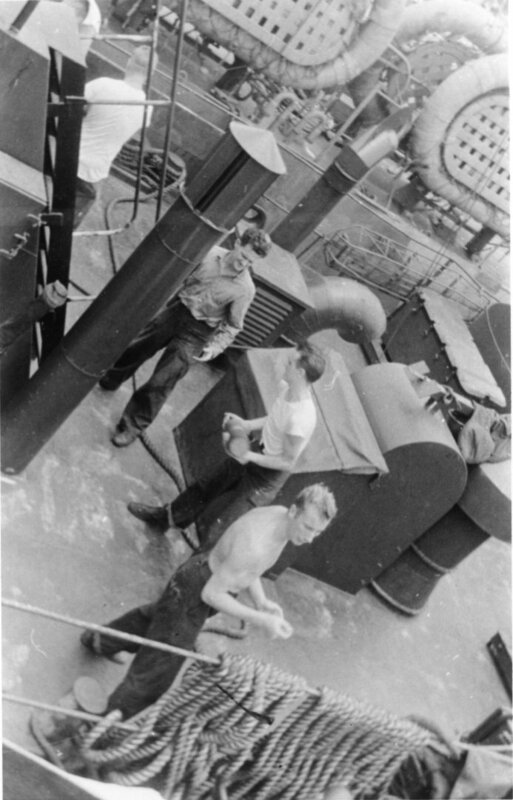 63k USS LCI(M)-1012 crew members connecting fueling hose in preparation for an underway refueling evolution, date and place unknown. 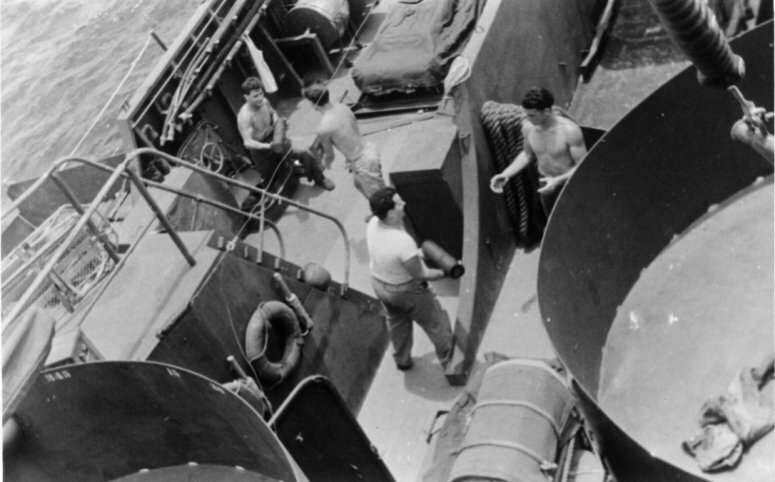 145k USS LCI(M)-1012 crew members preparing for a refueling at sea evolution, date and location unknown. 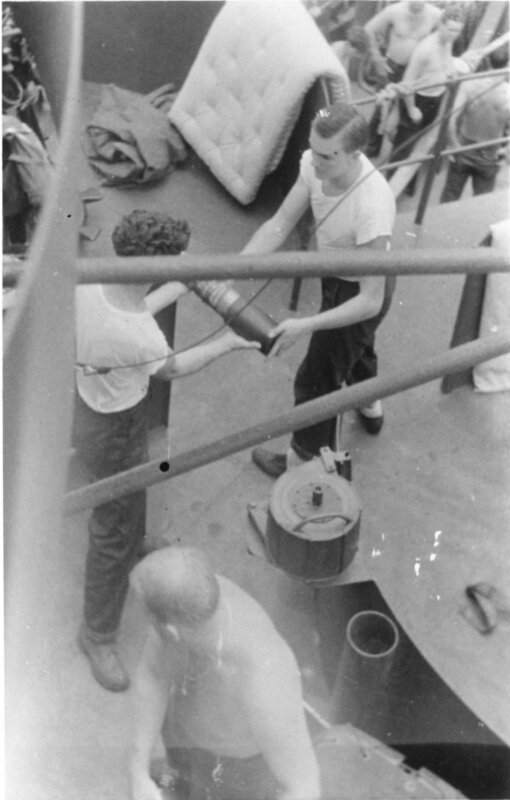 123k USS LCI(M)-1012 reloading ammunitions, date and location unknown. 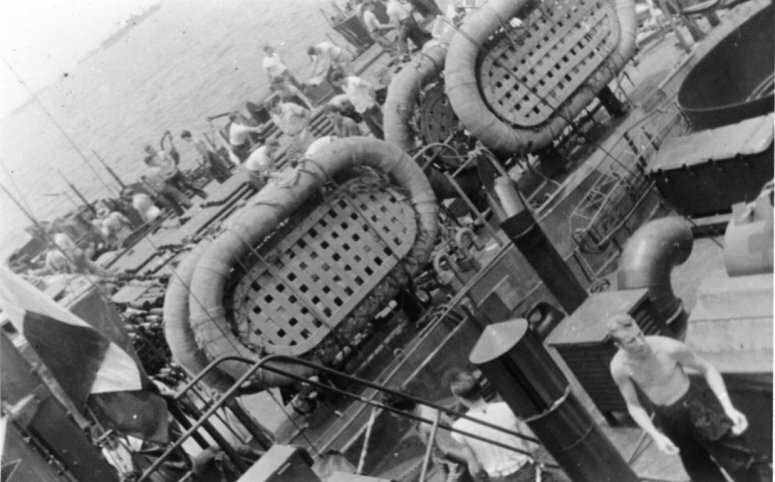 75k USS LCI(M)-1012 and several other LCI's reloading ammunitions, date and location unknown. 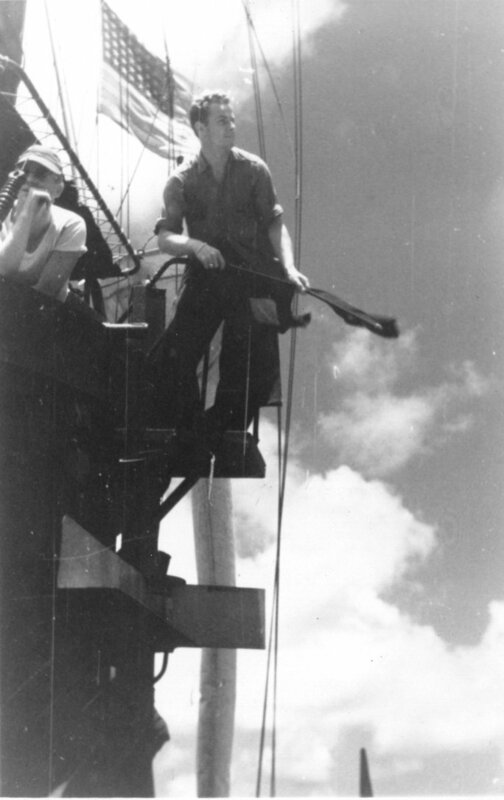 88k USS LCI(M)-1012 Signalman Fred Magiera and Capt. 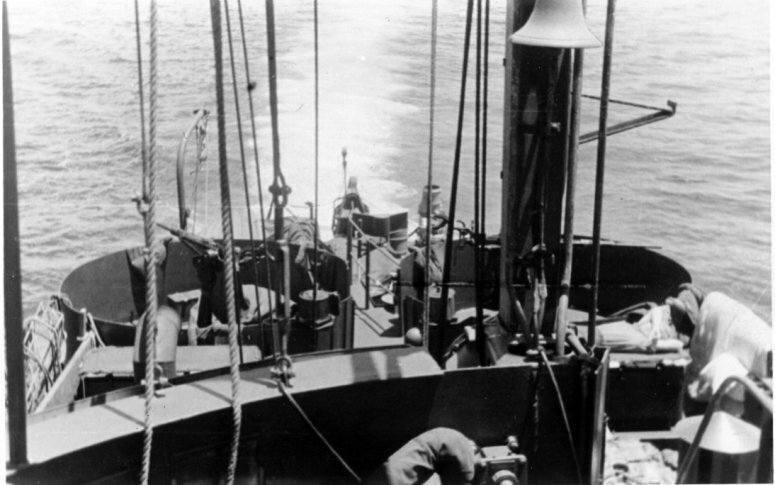 Wilson, date and location unknown.